Hi my EC&I 834 classmates, My name is Nataly Moussa. A wife, mom of four amazing kids and an Assistant instructional designer at the University of Regina. EC&I 834 is my second class with Alec, and also my second class overall towards my Educational Technology certificate. Last semester was my first one in the program and my learning journey since I completed my Bachelor’s in computer science back in 2000. It was a wonderful learning experience. I was really enjoying it, and I learned a lot. However, I have to admit it can be stressful sometimes, but I am sure things will smooth out for me as I go on. Writing a blog each week in my previous course “EC&I 833” with Alec, helped me shape my understanding for each topic significantly. I was very interested in every single topic we discussed in the class which made me spend most of my evening time everyday searching, reading and writing about it. I am very excited to be working on developing a blended/online learning course this time. This is very much tied to my job. I help instructors at the university design and build their online courses. My job requires me to be up to date with the latest technology tools, best pedagogical practice, and learning theories. I think of instructional designers as lifelong learners, who are a curious and good listener. Teachers and IDs are both in a perpetual quest to create a successful learning experience for students and to meet their learning needs. I can see online/ blended learning is growing every year. Students love the flexibility that online courses provide. Blended learning offers new ways of engagements and opens a new range of possibilities. It reaches a wide variety of different learners’ characteristics like students with disabilities or introverts. I want to learn different technologies to achieve my objectives, and to have a clear understanding of learning theories as it would help me in selecting the best teaching strategies and techniques. 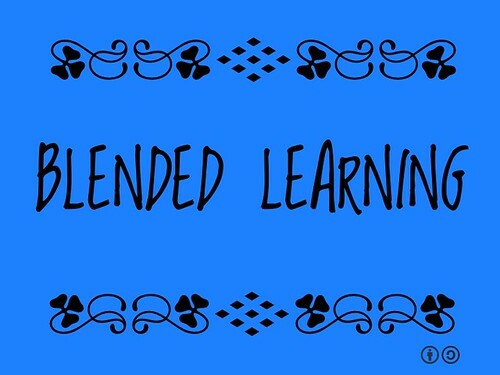 I want to learn how to select a suitable mix for a learning environment like blended? How to look at the pedagogy goals and choosing the tools I would like to adapt accordingly? I would like to see myself adding more comments under blog posts and be more involved in an interactive discussion. As you mentioned UDL, I think it is one of the great demands of educational systems in the 21st century. I hope EC&I 834 paves a way for us to do something especial for this purpose. Thanks for the comment, Hosna. The future seems promising especially with the massive advancement in technology and the arousing awareness of different students needs. Thanks again! Glad to see you again in this course Nataly, Looking forward to working with you again. Hi Sapana and thanks for the post. Good for you for taking this course and staying committed with 4 kids. I agree with you that writing a blog post each week helps to better understand the topic. Looking forward to learning with you. Thanks for the comment, Kristina! I love seeing your baby in the class every week. Enjoy all these precious moments. Thank you for sharing. I really like your 4 “I want statements” it is sometimes difficult to know what you want to learn as you don’t know what you don’t know. I knew that I had a lot to learn and I did indeed learn a lot but so have a ways to go. Online learning and technology seem to change every day. Some things go obsolete right when I become comfortable with them. Continuing to learn, with our own children, as a mature students as a life long learner is so important. thank you for sharing this leg of the journey with me.